You’ll need to break out the tissue box for this one. Earlier this season, Luca Iacono had a day he’ll never forget. 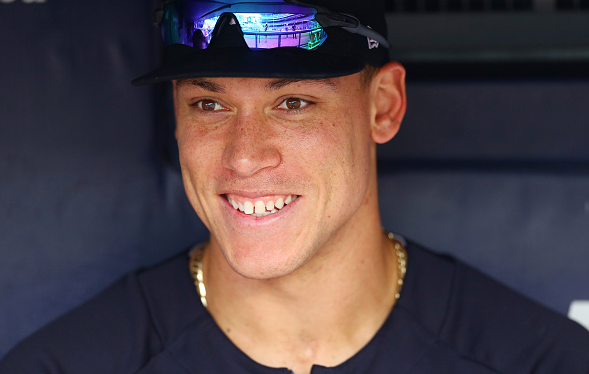 The 9-year-old from Middletown, N.J., who was diagnosed with a rare form of cancer and underwent rounds of chemotherapy , was invited to Yankee Stadium to hang out with the Yankees and his favorite player, Aaron Judge. Luca got a chance to hit in the batting cage with Didi Gregorius, and chat with Judge in the dugout before taking the lineup card out to home plate before the game against the Minnesota Twins. Luca then watched the game with his family and Brian Cashman in a suite.